Thomson Creek Farm: Kicking off the season in high gear! Last year, I did pretty much NOTHING for Christmas. There was no gingerbread house, nothing homemade, we may have gone and looked at Christmas lights once. It was just a very crazy year. The babies were starting to "wake-up" (you know where they go from sleeping all the time to crying all the time.) We also had a flood in our basement a couple of days before Thanksgiving and lived on one level until new years! All gifts were store bought and I didn't give a single neighbor gift. I had a hard time listening to all of the fun and traditional holiday activities everyone else was doing. It just wasn't in the cards for me last year. But it is this year, and I am going to blog about it! Just in case I have another year where life doesn't lend itself to holiday magic, I can look back and realize it is just a season. 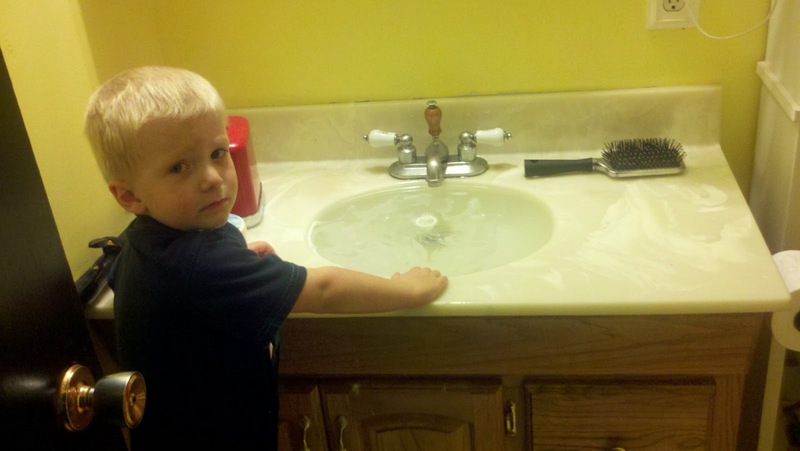 So far this year, the only flood we have had was yesterday, when Max decided to see how much toilet paper he could put down the drain and then filled the sink with water! 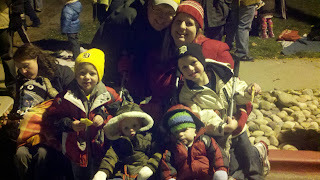 Yesterday we went to the Kaysville City light parade. It was small and short--the way a parade should be. :) We had a lot of fun, then we had our neighbors and Josh's parents over for hot chocolate. I even made it from scratch! It was a great night. See that lady in in the picture (on the left) she has 15 month old triplets. Is it crazy that I am a little jealous?